Prizes will be awarded at the Open Studios launch party at Dorich House Museum on Friday 7 June 6-9pm. The 3 original winning artworks will be exhibited at venues 14, 15 and 20 alongside professional artists during the Kingston Artists Open Studios 2019 taking place on the weekends of 8/9th and 15/16th June. The 3 winning artworks will also be exhibited at The Bowman Gallery, 9 Worple Way, Richmond from 10th-14th June. 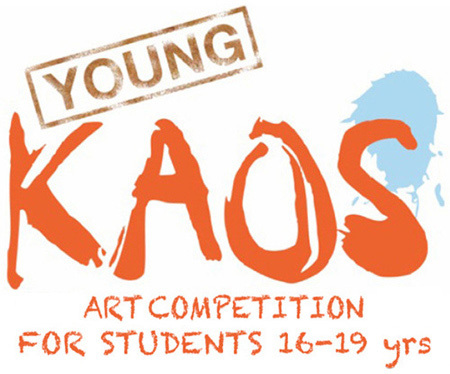 The Kingston Artists Open Studios (KAOS) judging panel were exceptionally impressed this year with the volume of entries, exciting variety of artworks submitted and the range of materials used to create fabulous works of art. Now in its fourth year the Young KAOS Competition has once again been a resounding success and we would like to take this opportunity to thank every young artist who has submitted work for this year’s competition. Without your desire and commitment to share your artwork with us this competition could not exist. Thank you!